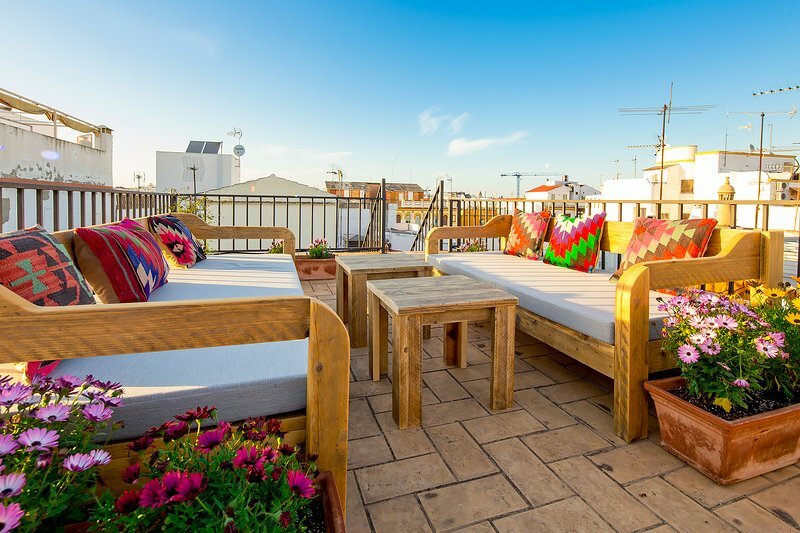 1 of 31Roof-terrace with lounge sofas and plants. LATE CHECK-IN From 22:00h: 20 EUR (to be paid in cash, upon arrival) NOISE This property is in a very quiet residential street - therefore it is COMPLETELY UNSUITABLE for groups who wish to hold fiestas with loud music, etc. 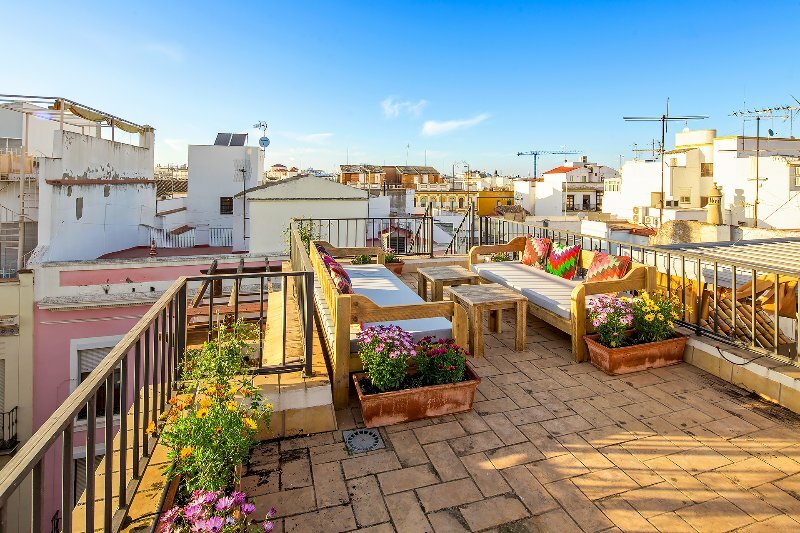 El Arenal is one of the most vibrant areas of Seville, centrally located between the palm-lined eastern shore of the Guadalquivir River and the historic district of Santa Cruz. Here you will find many of Seville´s attractions - all at your doorstep. Catch a bullfight at the internationally renowned arena of La Maestranza, or a concert at the Maestranza Theatre. Visit the Naval History Museum of Seville, housed in the landmark Torre Del Oro (Tower of Gold), or take a city boat cruise on the Guadalquivir. The Cathedral of Seville and the Alcázar Royal Palace are in the neighbouring district of Santa Cruz and a short walk away.